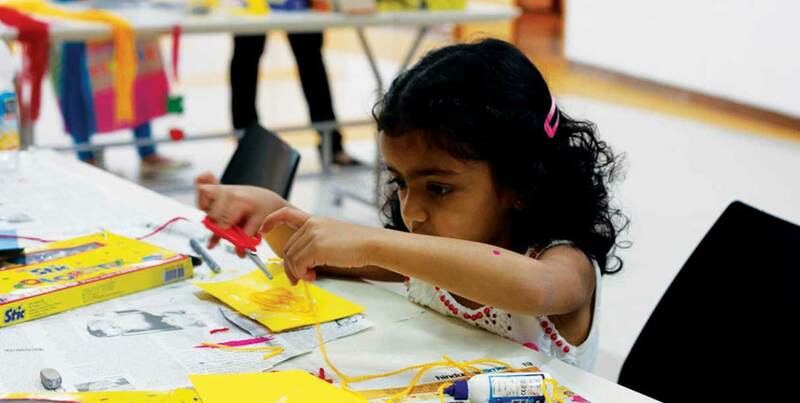 These workshops take place every Saturday and are among the most popular programs at the Museum. 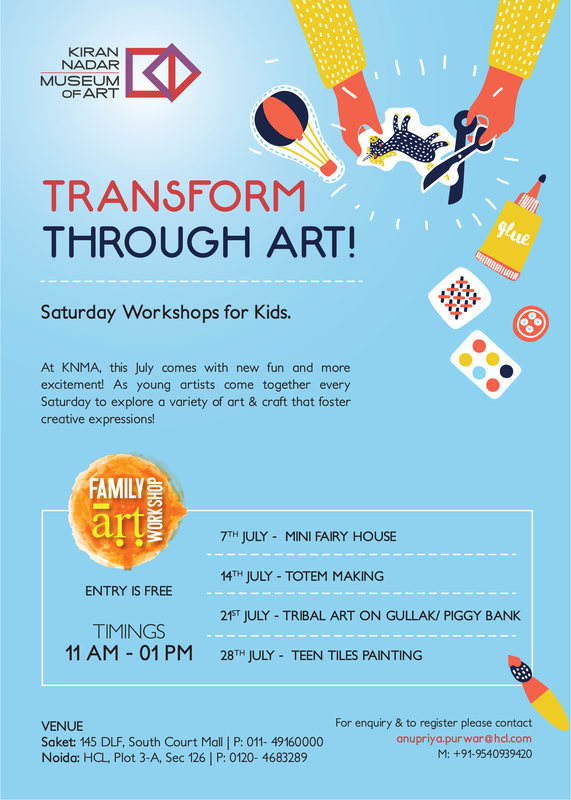 Parents bring in their kids and children from the local community are encouraged to get initiated in art making through workshops on various art and craft techniques. 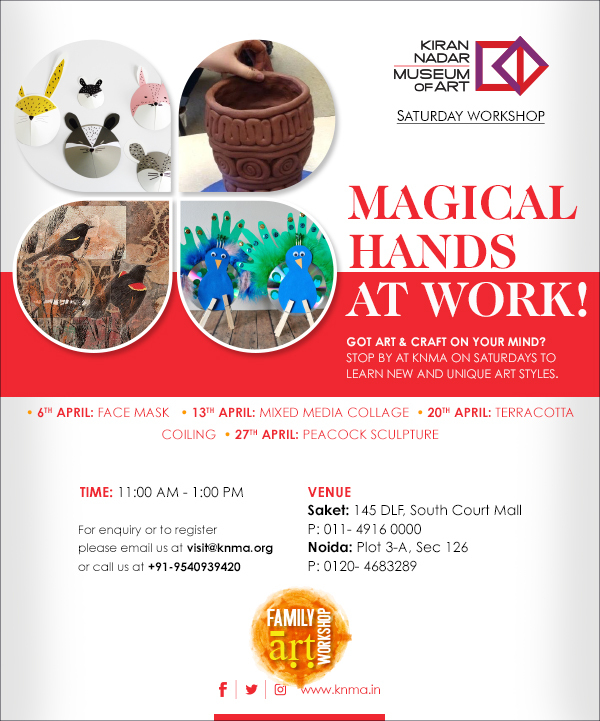 Some of these techniques include Shadow Art, Kite Making, Photo Frames, Mask Making, Glass Painting, Paper Sculptures, Fabric Collage among numerous others facilitated by the Museum Educators.